At Gloria Jean’s, we use a dosing system with different types of roasting. This allows us to find the optimum roasting time and temperature for each type of coffee beans. Also, it offers a unique quality control. 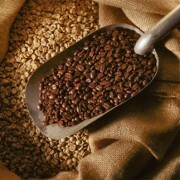 Most of our flavored coffee varieties are roasted at a medium level to allow a perfect combination of flavor and taste. It is chestnut-colored and delicate with some strongly flavored tones. 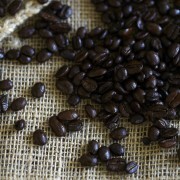 It has by itself an excellent roast level and tends to be glossier and more flavorful than strong roasted coffee. Coffee beans are roasted for a certain period of time, but at a somewhat higher temperature towards the end of the roasting process. The result is a viscous cup of coffee, but which is never bitter. It’s an excellent coffee for any occasion, or can be used as the basis for some types of mixtures. Special Espresso Blend is a well-roasted coffee, very dark and with an oily surface. The drink is very aromatic and complex, both in terms of strength and bitter-sweet flavor. Because these beans are roasted at a higher temperature, their aromatic oil is released and appears on the surface, where it caramelizes and turns into a dark brown. Even the best coffee beans may be damaged when incorrectly or insufficiently roasted. Gloria Jean’s coffee is roasted in small batches, which gives each batch the quality and the individual attention it needs in order to bring out its aromatic characteristics. 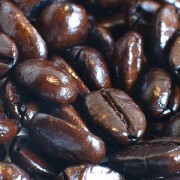 When we mix the coffee beans, it is important to take into account the ideal roasting for each type of coffee beans. Some grains should be fried separately, while others can be fried together. Only a few merchants have the experience and patience needed to fry coffee at such a high standard.